Euonymus alatus 'Fireball' is an easy care shrub that adds outstanding fall colour to the landscape. It has a dense mounded habit with attractive dark green foliage and interesting warty brown bark. It does flower but the flowers are not showy. 'Fireball' has a strong growth habit and is more resistance to winter damage than older varieties. 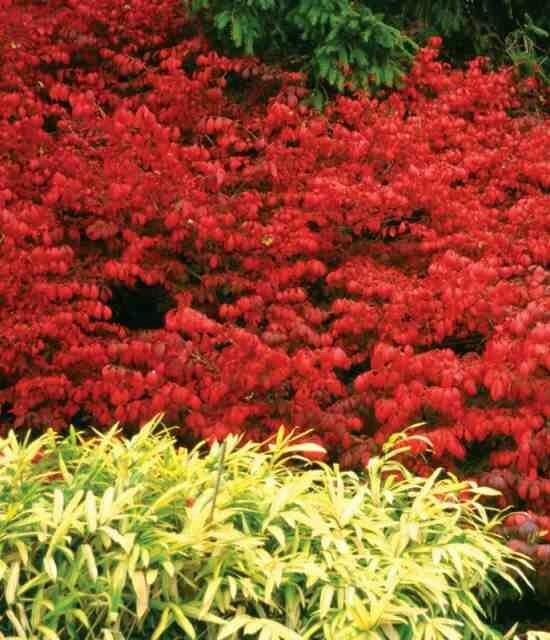 Plant it among spring and summer flowering shrubs to provide a blast of fall colour. Euonymus alatus is an adaptable shrub that thrives in a wide range of soil types, however it will not tolerate wet, poorly drained soil. It will grow in sun to part shade but fall colour will be best in more sun. 'Fire Ball' can be pruned at any time although heavy pruning is seldom necessary.